Even the rich and famous get sued for not paying overtime. Stefani Germanotta, aka “Lady Gaga,” was sued in 2011 by Jennifer O’Neill, her personal assistant. O’Neill claims she’s owed overtime for serving at Gaga’s “beck and call” around the clock between early 2009 and March 2011. She claims she worked $393,000of worth of unpaid overtime. Gaga was deposed last year. As I’m an employment lawyer, I’m just going to say this…I certainly hope that I can sue someone as awesome as Lady Gaga. I want to have a deposition like this. Now, I could spend a bunch of time detailing the questions, but I think it would be far more entertaining to just quote the ridiculousness that came out of Gaga’s mouth. Gaga said none of her employees get paid overtime, adding that O’Neill “knew exactly what she was getting into, and she knew there was no overtime….” “This whole case is bulls–t, and you know it,” Gaga added. Gaga said O’Neill failed at even the most basic of tasks, noting that “one of the biggest problems I had with Jen is that I felt like she didn’t lay out all my stuff for me” while traveling, because “there is 20 bags and there is only one me, and I can’t sift through everything. Want to Be a “Private Attorney General” and Fight Labor Injustice? In 2004, our great State enacted the “Private Attorneys General Act” (commonly known as “PAGA” – Labor Code § 2699). This statute gives an incredible amount of power to everyday employees who want to fight for workplace rights. Under the PAGA, an employee may bring a lawsuit for Labor Code violations committed against the employee by his or her employer on behalf of other current or former employees against whom one or more of the alleged violations was committed. What is interesting here is that PAGA is not referring to class actions, it creates a private civil action on behalf of other employees. That means the PAGA contains no specific class certification requirements. What type of penalties are we talking about? Failure to pay wages immediately upon discharge. Failure to pay with a payroll check with sufficient funds. Illegal deductions or withholdings from wages. Failure to provide statutorily compliant paystubs. Failure to provide proper meal and/or rest breaks. Failure to pay all tips and gratuities left for workers. Failure to pay overtime for all hours worked in excess of 8 hours in a day or 40 in a week. Failure to pay minimum wage. Failure to reimburse for all necessary expenditures or losses incurred by the employee in direct consequence of the discharge of his or her duties. If you are currently suffering from one of the above Labor Code violations, you can become a private attorney general, and sue on behalf of your fellow employees to right the wrong. If you have any questions about PAGA or the labor code violations listed here, feel free to give me a call. Branigan Robertson is a California employment lawyer who exclusively represents employees in workplace disputes. He focuses his practice on sexual harassment, wage & hour, wrongful termination, and retaliation. Visit his website at BRobertsonLaw.com or call his office at 949.667.3025. 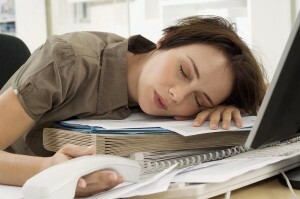 Do Employees Get Overtime If They Are Paid A Salary? As with most legal questions, the answer is far more complicated than the question. But this article attempts to outline the answer without too much legal gobbly-gook. One of the biggest myths about overtime in California is that people who are paid a salary are never entitled to overtime. The sad fact is that many people who are paid a salary by their employers are entitled to overtime and don’t receive it, and even more are paid hourly but don’t get any overtime because they work for dishonest companies with shady time-keeping procedures. Thus, if someone tells you that you are not entitled to overtime just because you are paid a salary, they are dead wrong. In California, everyone is entitled to overtime pay unless they first meet one of the legal overtime exceptions. These exceptions are called “exemptions” under the law. Think of an exemption as a test: if your job passes the test your employer gets rewarded and doesn’t have to pay you overtime; however, if your job fails the exemption, then you are rewarded with overtime. I italicized “job” to emphasize that the test is dependent on your job functions, not on your personal capabilities. Employers sometimes find it difficult pass an exemption for your job. Undeterred, many companies claim that your job meets the exemption when, in reality, it doesn’t. They do this because they don’t want to pay you the hour. It’s so much easier to pay you a salary – there are no time cards, variable monthly payments, and no overtime. The next question becomes, what are these exemptions and does your job meet one of them? There are four major exemptions: “administrative,” “executive,” “professional,” and the “computer software professional.” If your job doesn’t meet the requirements for one of these exemptions then you are entitled to overtime pay. What are wage orders and why do they matter to an employer? Why do they matter to an employee? For an employer, a wage order governs the wages, hours and working conditions in California. For example, Wage Order 02 guides an employer in the personal services industry on what to pay an employee, what employment records must be kept, when meal and rest periods are mandatory, and other details. Each wage order is meant to be self-explanatory but in reality is difficult and boring to read. 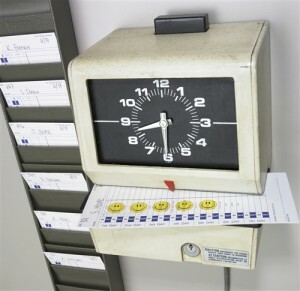 Wage orders must be posted in the workplace at a location where employees can read them during the workday. This blog is for employees. Its main goal is to explain key employment laws that every employee in California should know. The information presented here is derived from real court decisions and statutes, and is intended to help everyday folks understand the complex world of employment law. Please note, however, that nothing presented here is intended as legal advice. See the disclaimer above. What Motivates Employees to Sue their Employer?